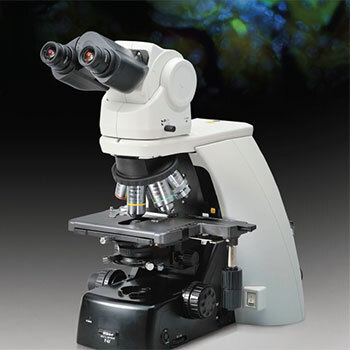 Nikon’s new upright microscopes were developed to be highly versatile, combining system expandability and superior optical performance in an easy-to-use system. The Ni-U can be configured in many ways depending on the requirements of the user. Its adaptability makes it suitable for many applications, from clinical examination to research; it also features motorized accessories that include nosepiece, fluorescence attachment, and shutter.